What I Vegan…Here we go! As a vegan, I am frequently asked “what do you eat?”, and I definitely don’t mind telling people all about the delicious foods I enjoy! But it’s not the same as showing them, so in the summer of 2011, I decided to start a Facebook album documenting some of the yummy eats I make at home and order at restaurants to help people understand what vegans can eat. Many of my friends and family loved the photos and encouraged me to start a blog…so here we go! I’ll be posting pictures of what I eat, what I buy, what I wear – what I vegan! I hope you delight in seeing the ridiculously awesome food and amazing variety of things vegans can indulge in. I’ll also offer some recipes, tips on how to incorporate vegan food into your diet, and more. As a teaser, here’s what my husband and I ate at an out-of-this-world vegan restaurant called Plant in Asheville, NC last weekend. Dining at an all-vegan establishment is a rare treat, so I’ll be showcasing lots of homemade and ordered-from-regular-restaurants items in future posts. In the meantime, let the drooling begin! 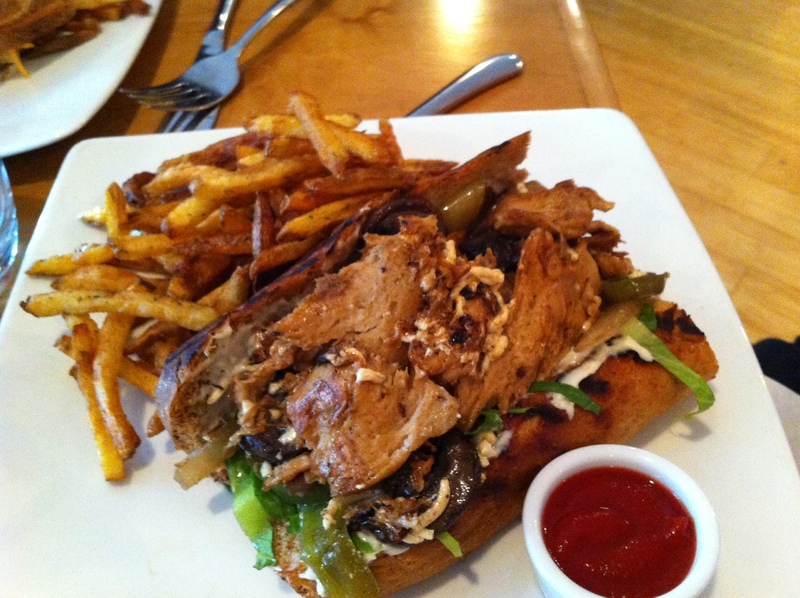 The ‘Villy Cheesesteak with seitan, onion, pepper, mushroom , v1 steak sauce & mayo, vegan mozzarella, and romaine on a whole wheat hoagie – wow! 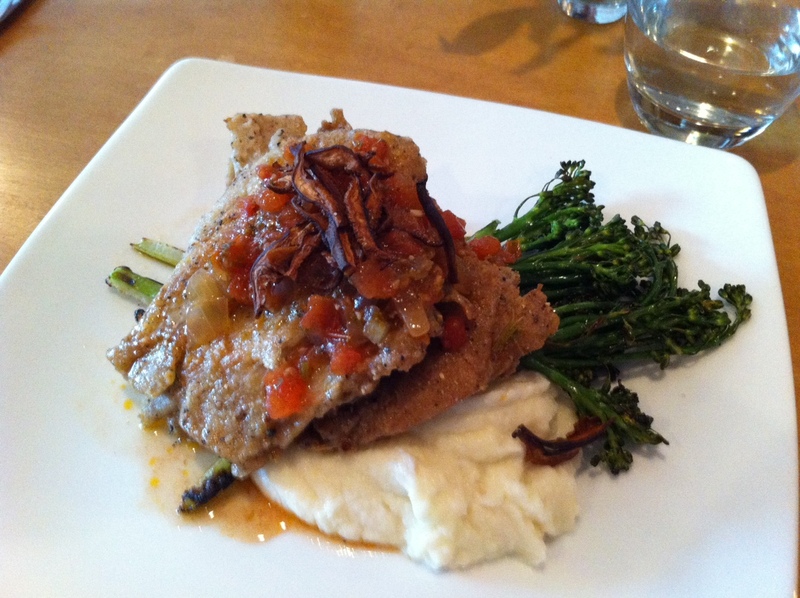 Hello, peppercorn crusted seitan – I love you. This was served with truffled cauliflower, grilled broccolini, tomato & wine sauce, and topped off shiitake bacon. May I recommend the Blackout Pie? 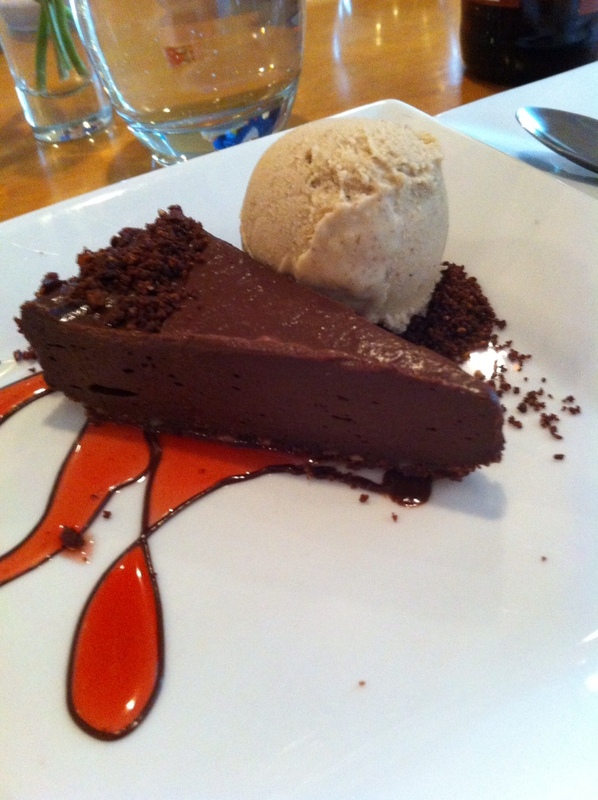 Cocoa cookie crust, dark chocolate-peanut butter mousse, banana-macadamia ice cream, and berry agave make it hard to say no. 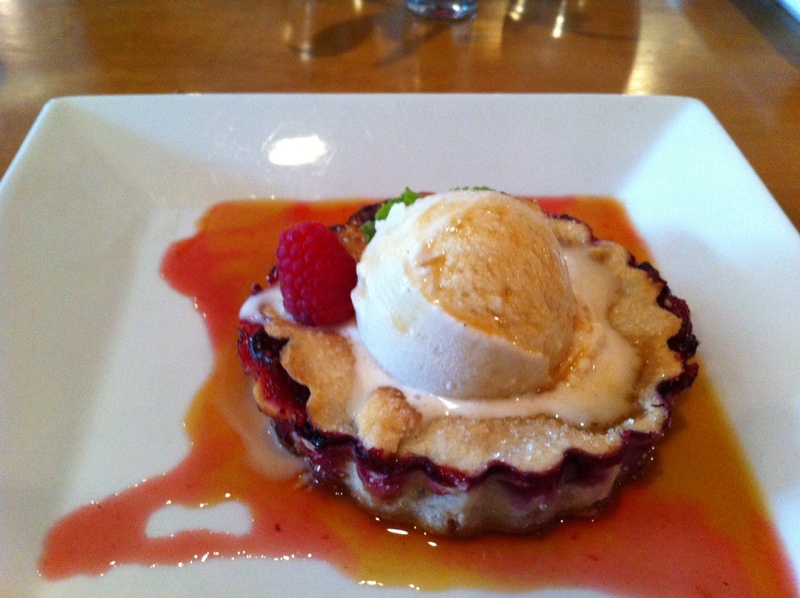 I love tangy desserts – and this hit the spot. “My Own Hyper Berry & Rhubarb Pie” is made of flaky pastry, NC berries, organic farm rhubarb, vanilla ice cream, and caramel. Tangy heaven just for me. Make sure to subscribe to my blog on the right so you’re notified via email when new posts are added! Here’s to compassion in action! Thanks, Candace! Looking forward to sharing more delicious food photos! drooling has commenced – Plant has got two (& 1/2) new customers in the near future to stop the pools of drool and we’ll be following you to see what’s in store next! Nice job! I’m so excited to read this! And I cannot WAIT to eat at Plant. A vacation to Asheville has been on my ‘to do’ list for a while now. Well done – great writing and awesome pics!